Life is filled with an assortment of twist and turns. During these phases, our hearts expand, contract and morph based on our state of mind. 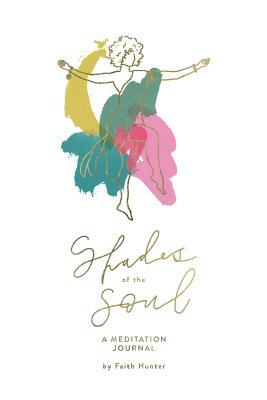 Created by global yoga and meditation teacher, Faith Hunter, and her deep love of poetry, this meditation journal is a beautiful way to reflect on the delicate nuances of your life. The journal is composed of three sections (Heal, Connect and Elevate). Faith encourages you to mindfully flow through each section, meditating on a daily quote inspired by one of her original poems. That means, you get to soak up nine beautiful poems, meditate on 63 contemplative quotes, while also having space to write your soul's desires. This journal is a lovely way to heal wounds of the heart, connect deeper to your inner truth, and elevate your spirit Open the pages, and express the shades of your soul.